We even have a few seedlings in the ground. Onion seedling. But they look like we will need a plan B. So we already need seed. We can re-try onions in our little greenhouse/seed starting closet. Adrian has some blackberry stems (more Arapaho thornless) starting already. We are also keeping two pepper plants over winter for a quick start for peppers. One new crop in the garden is garlic and shallots. They both look great. We planted about 100 cloves/bulbs of each about 6 weeks ago. They were both covered in ice two days ago and now look only slightly bitten by the 10 degree weather. This year I will try to produce greens. This is the biggest change. Collards and Kale are very popular and have both been requested. Turnips too make good greens and a harvest of tubers. This year the variety list will be shorter too. I plan on fewer varieties of tomato. Maybe some Celebrity, Big Beef and a very few cherry varieties. This year we will have one fewer rows as well (down to three). Tomatoes last year were a disappointment as we failed to keep them up on the flimsy trellis I tried this year (stake and string). Stakes must be much closer and they must be pruned regularly and re-tied to stakes. We had too much happening last spring and they literally became a snake pit – snakes eating mice eating tomatoes. Peppers were great producers this year. People loved them. 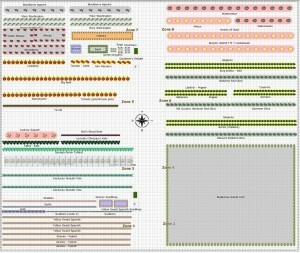 We will do another 50 feet of 2 wide peppers for a total of 200 feet. I have saved poblano and bell pepper seed. Both were extra ordinary nice producers. I’d think we will add more jalapeno and other varieties too. 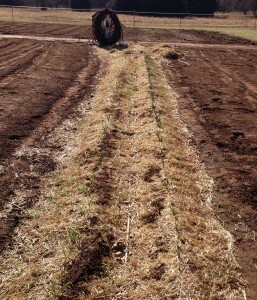 We’ll plant the next to rows of okra for shade. I think the 2×2 rows also helps each plant shade the others too. Heavy mulch of chicken compost eliminates weeding between plants too and they soak up the compost throughout the season. 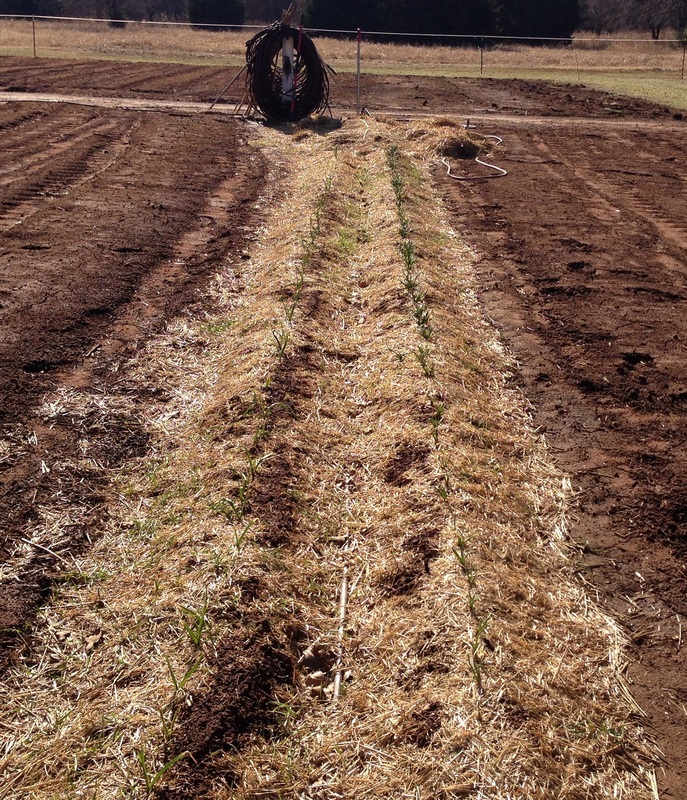 Onions will have a bigger area – they are easy to harvest and deliver and are well received. 8 rows maybe. 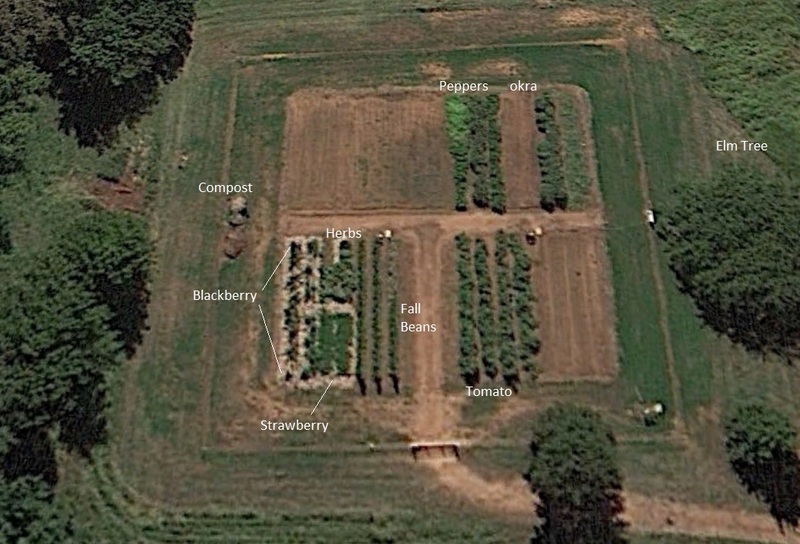 It will be nice to see the second year for the strawberries, asparagus and blackberries. This whole part of the garden has been mulched very heavily with straw. Now it is about 4 inches deep. To the right is a picture from Google from overhead (from space!) showing our mulching job. 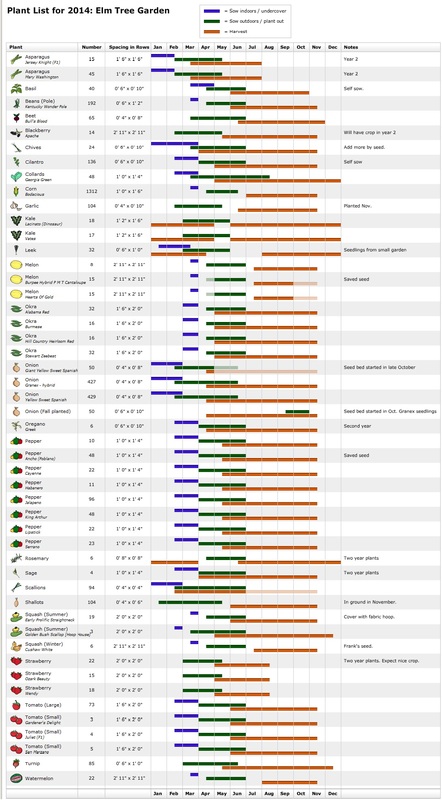 I need to get a list of seed for ordering. Am eager to use my new-found seed store that caters to southern gardeners (Southern Seed Exchange). 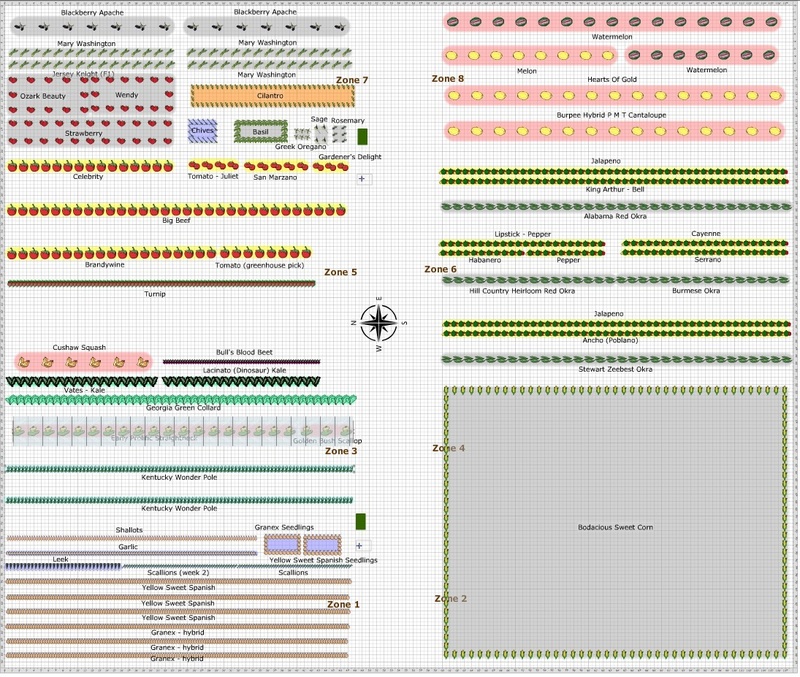 As well, I need to plan the small raised bed garden too. I’ll use it this year for troublesome plants like cucumbers, tomatillos and some specialty varieties. Cut flowers too grow very well in the raised beds.